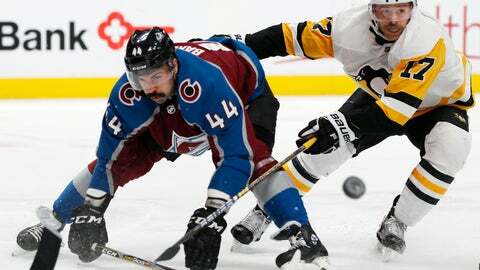 NOTES: Colorado D Tyson Barrie missed his second straight game with a lower-body injury. … Pittsburgh D Kris Letang, who set a franchise record for games played in Winnipeg on Tuesday, had his four-game point streak snapped. … Colorado is 1-1-1 in the second game of back-to-back sets this season. It is 3-1-0 in the first game. … The first penalty wasn’t called until Crosby drew a holding-the-stick minor 49 seconds into the second period. Colorado’s Alexander Kerfoot got a high-sticking minor 19 seconds later.